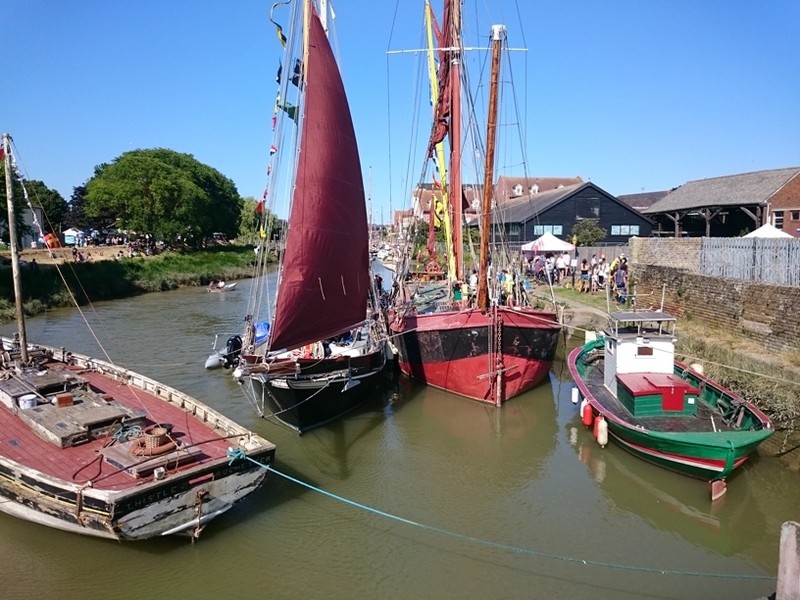 We are sad to announce the death from cancer of Lena Reekie, who founded the Faversham Nautical Festival and was the match secretary of the Kentish Sail Association for over 40 years. 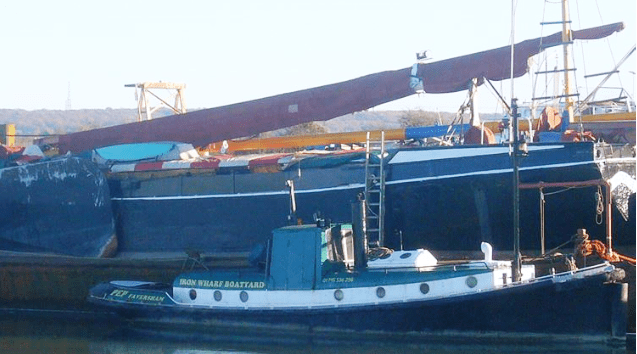 Fire crews saved the 1900 steel sailing barge “Ironsides” at Iron Wharf, Faversham, after yet another fire broke out yesterday morning. A bit of theme is developing around here. 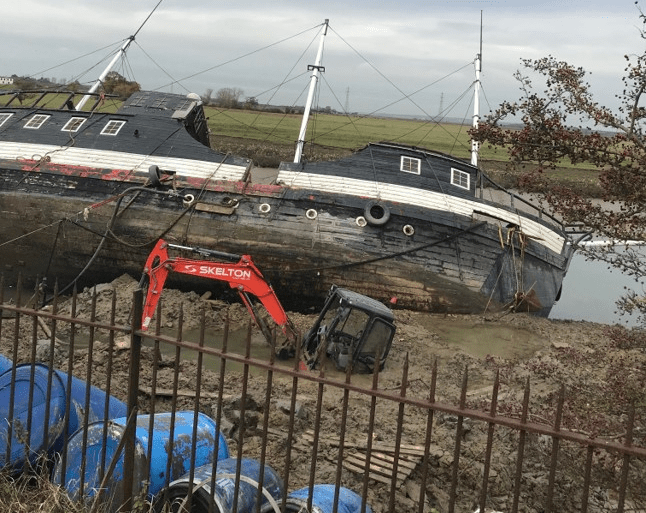 An unconventional approach to salvage work appears to be underway of the infamous “pirate ship” Revenge in Faversham Creek. Photo courtesy of Paul Cuckow and his colleagues. This photo of a group of hovercraft forming an orderly queue in Faversham Creek was taken by MSBA committee member Bob Telford. 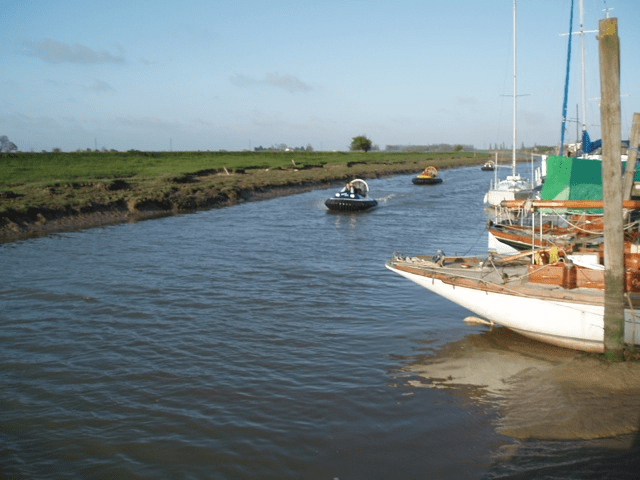 Bob is active with the Faversham Creek Trust and keeps his boat in the creek. A surprisingly good programme on BBC1 about the Thames sailing barge, featuring Nick Ardley and other experts. Many of the beautifully shot scenes are local to the Medway and Swale. In the early hours of this morning, a huge blaze has destroyed eight boats, three cabins and a workshop at Iron Wharf, Faversham. UPDATE: A 30 year old man has been arrested on suspicion of arson.